Tamil Nadu is India's number one state for wind energy, producing more energy than Sweden and Denmark. India’s southern state of Tamil Nadu is a world leader when it comes to renewable energy. Its wind turbines have a combined installed capacity of 7.9 gigawatts (GW). 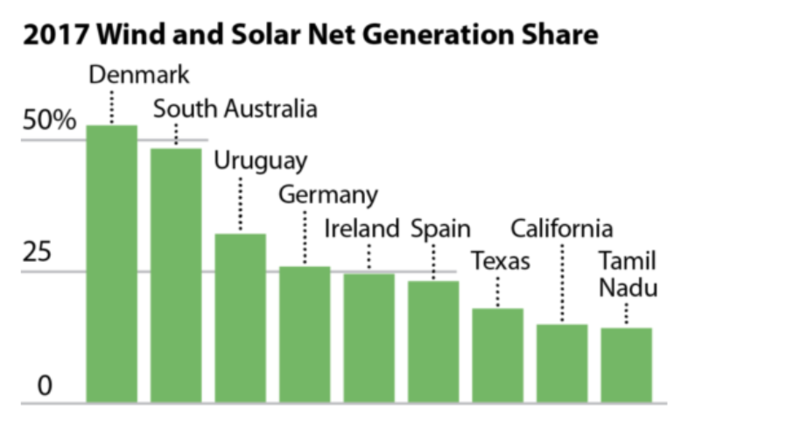 This puts it ahead of many countries regarded as champions of green power. For example, Sweden is aiming to become one of the first countries to generate 100% of its electricity from renewable sources. But it has a wind-power capacity of 6.7GW, a tenth less than Tamil Nadu. And Denmark, considered by many as the birthplace of the modern wind energy industry, has a wind-power capacity of 5.5GW. In fact, figures from the Global Wind Energy Council show that there are only five European nations plus China, the US, Canada and Brazil that had larger installed wind-power capacities than Tamil Nadu in 2017. As well as being India’s number one state for wind energy, Tamil Nadu is also top for rooftop solar, and third for overall solar capacity including large-scale solar farms. Renewables currently account for 16% of Tamil Nadu’s electricity generation, its second largest source of energy after coal. 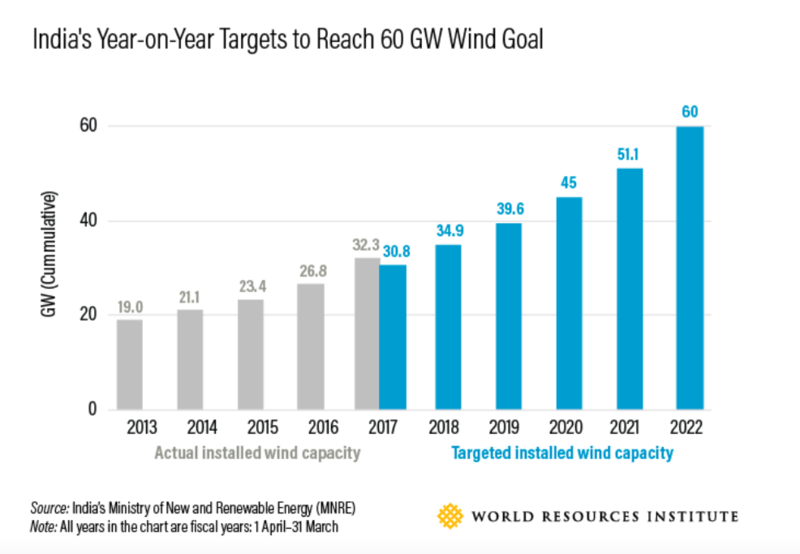 More than two thirds of this renewable electricity currently comes from wind turbines, and the IEEFA predicts that Tamil Nadu could nearly double its wind-power capacity to 15GW by 2027. Meanwhile, solar-power capacity in the state is predicted by the IEEFA to increase more than six-fold over the same period, from today’s total solar capacity of 1.7GW to 12GW of solar farms and 1.5GW of rooftop solar panels by 2027. This rise in renewables is predicted to coincide with a slide in coal’s share in Tamil Nadu’s electricity mix, from 69% in 2017 to 42% 10 years later. While Tamil Nadu may currently lead the way on renewables, other areas of India are poised to catch up and even overtake the southern state. Andhra Pradesh and Rajasthan are already ahead of Tamil Nadu when it comes to solar-power generation, while five Indian states installed more new wind turbines than the 262 megawatts (MW) of capacity added by Tamil Nadu in 2017. According to the World Resources Institute, the Indian states that added more wind-power capacity than Tamil Nadu last year are: Andhra Pradesh (2.2GW); Gujarat (1.3GW); Karnataka (882MW); Madhya Pradesh (357MW); and Rajasthan (888MW). Wind energy is India’s biggest source of renewable electricity by far, accounting for nearly three times as much generating capacity as solar. This would place India, and not just Tamil Nadu, among the elite of the world’s wind energy producers.